Devidasan, who showed his directorial skill through 'Maharaja Talkies' is gearing up to venture into yet another project. Titled 'Hridyam', the movie which features Hemanth Menon and Subhiksha in lead will start rolling very soon. 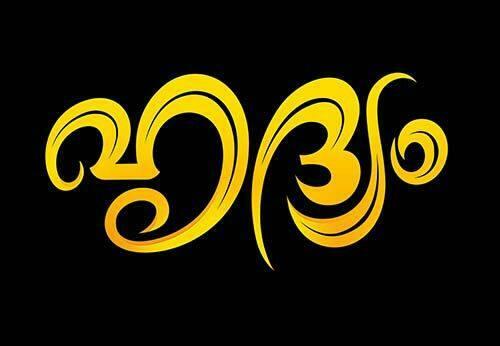 As the name suggest, the movie will have a fresh theme with prominence given to music too. Creamed with humour and suspense, 'Hridyam' is packed with thrilling moments to keep the audience intact. The movie will be produced under the banner Devilakshmi Creations banner. The camera would be helmed by Karthik. Devidaan made his directorial debut with 'Priyam Priyankaram' and later helmed 'Maharaja Talkies' starring Mukesh, Urvassi, Vijayaraghavan, Harishree Ashokan in prominent roles. Hemanth was last seen in 'Actually' and has an interesting role in 'Nirnayakam' directed by V K Prakash. Menwhile, Subhiksha is paired opposite to Hemanth in the movie 'Kanthari' too. Devidasan Chelanat is much known as artistic director and writer has a strong base in the theatre and film industry. He has managed to bring out innovative and inspiring works at constrained budgets. He has also done the screenplay and helmed 'Rainbow', a movie with a hint of drama to shake things up. Hemanth Menon who entered the entertainment world in 2010 through Faasil's Living Together has featured in movies like Doctor Love, Ordinary, Chattakkari, Chapters and Thomson Villa. He has also done impressive roles in Ayalum Njanum Thammil, Tourist Home and Central Theatre. Meanwhile, South Indian actress Subhikha is making a comeback in the malyalam film industry with a couple of projects in kitty. This model and trained classical dancer worked in a Malayalam movie 'Olipporu' opposite Fahadh Faasil. Even though, the movie was a dude at the box office, her character Vani, a bold woman by nature got noticed. She is also one of the heroines in 'Kanthari', the directorial venture of Ajmal. She plays Sulthana, member of a traditional Muslim family, but a modern girl. It is a thriller which brings to light certain individuals unaccepted by the mainstream society and deals with certain social issues.